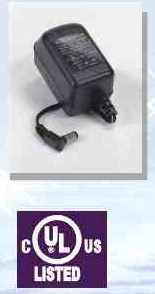 5VDC 4 Wall Mount 5VDC 20 watt power supply Universal input with a special fold-down two prong AC plug. 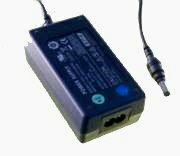 6.5VDC 2.5A 6.5 Volt wall mount with folding AC prongs and 4.75 x 1.7 mm barrel connector Used in many digital cameras, it is small, lightweight and has a 9 foot cord. AC/DC 2 Amps 12 VDC 2 amp ROHS approved power supply Universal input switching power supply with CE, cUL, UL, TUV, ROHS and Energy Star compliance.